I'm featuring a fellow Canadian today! Joanne, the graphic designer behind CoconutPalmDesigns, is a Canadian living in Belize, Central America ~ I guess she didn't get 6" of snow like we did!! 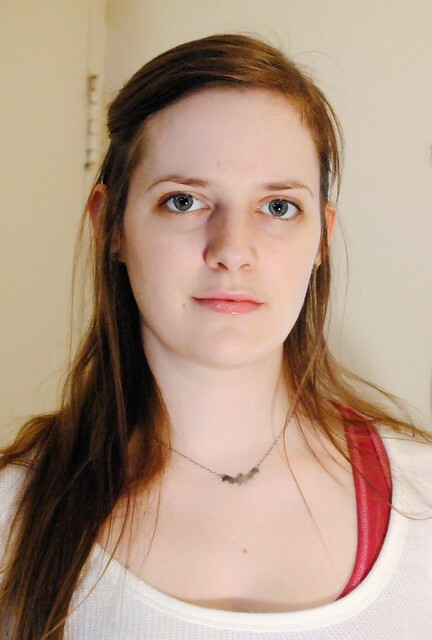 Like most Etsy artists, she has been creating from as far back as she can remember, but more recently her passion has been woodworking and sign making. 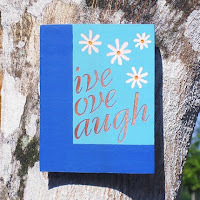 Her signs are made with hard or soft wood from Belize, and can be personalized for you. She's also more than happy to do a custom sign for you. This pretty "Live Love Laugh" sign is the only sign in store that isn't a welcome sign. Of course, if you had something specific in mind, feel free to ask. A peaceful sign, perfect for that shady, quiet spot in your garden. 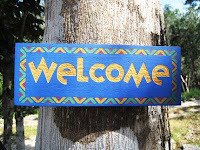 This zig zag sign is my favourite welcome sign in CoconutPalmDesigns. The fun lettering and bright colours make this sign most cheerful and welcoming. It is sure to leave a smile on your visitors' faces. 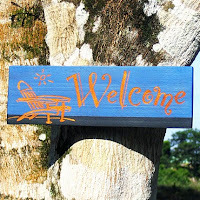 This beach chair welcome sign is perfect for the cottage, or anyone who has a sea side home. This sign also has really fun lettering, and can easily be personalized on the dark stripe at the bottom. CoconutPalmDesigns doesn't only carry signs ~ there are a number of beautiful ACEO (art cards, like trading cards, that must be 2.5x3.5"). 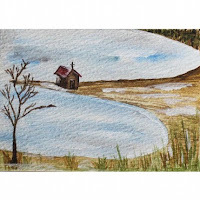 This pretty landscape ACEO is my favourite. An original water colour of a peninsula with a small shack near the tip, the gentle colour scheme is sure to fit in with your collection. This would also make a great first card to start out your collection (like I've been meaning to do). I couldn't help but adding this vivid primary abstract art card. This zany pattern and use of the three primary colours makes this a fun card to start off a child's ACEO collection. I can't help but smile when I see this photo... it's just so bright and cheerful. Which are really the two words that describes CoconutPalmDesigns perfectly: bright and cheerful. And what more could you want in a welcome sign, or any sign for that matter? 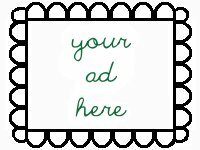 So if you're looking for a unique gift, a custom sign or original art work, do stop by CoconutPalmDesigns and browse around. You won't be disappointed! 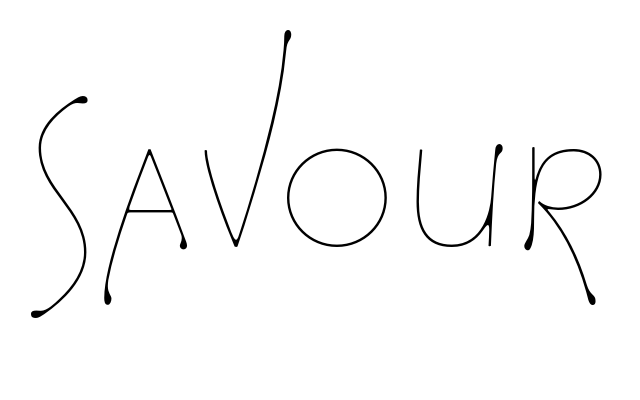 Don't forget to peek at her blog, where she's featuring other great artists taking part in this 90 day blog challenge! Beautiful feature. I featured CoconutPalmDesigns a while ago--such a cheery shop! Thanks for the great feature. It looks wonderful!